Taken in Michigan's Eastern Upper Peninsula on Lake Huron peninsula tip. Fine capture of beautiful ice formation decorated with crystals. I really like this- such nice textures, shapes, and subtle colors . The crystals really take this to a higher level than just ice formations. They add a very pleasing dimension. A fine image of the icicles form and texture, Paul. The crystals decorate the scene like a myriad of tiny stars! 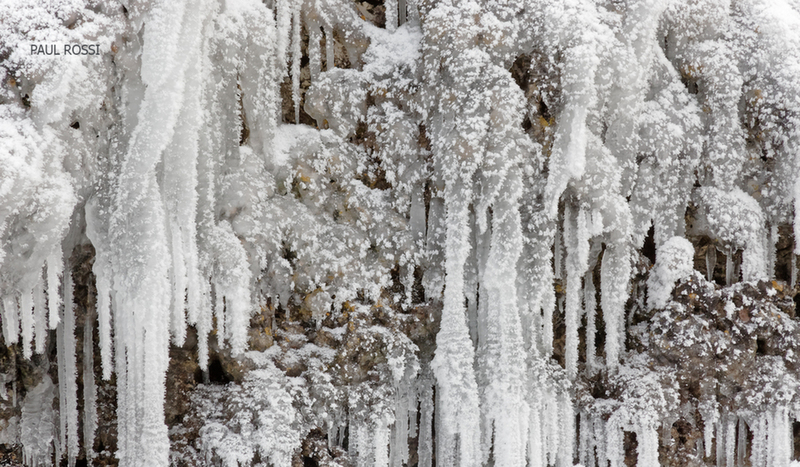 Nice abstract image of icicles and powdered snow. Love the textures.